Image Supply Systems, a leading provider of professional audio visual and video conferencing solutions is looking for an Audio Visual Installation Engineer. The ideal candidate will have at least two years of experience in AV and video conferencing integration in the professional environment. Based in Dublin and travel nationwide. The Audio Visual Installation Engineer will be responsible for installing and commissioning full AV solutions typically comprising of display screens, touchscreens, projectors, audio, room control and video conferencing systems, digital signage, wireless presentation solutions. Familiarity with Crestron, Extron and AMX control systems is an advantage. The role will primarily involve AV integration works in construction, refurbishment and upgrade projects, particularly in the Education, Corporate, Healthcare and Public Sectors. You will work closely with the AV Sales Director, Operations Manager, Service Administrator and fellow engineers onsite. You will also work with project teams including architects, building contractors and electrical engineers. Minimum of two years experience installing and commissioning professional audio visual and video conferencing equipment. Ability to read and follow instruction on CAD drawings essential. Must have excellent communication skills, and maintain a professional approach with Clients and project teams. Must possess excellent problem-solving and diagnosis skills. A full clean drivers license is essential for the position. 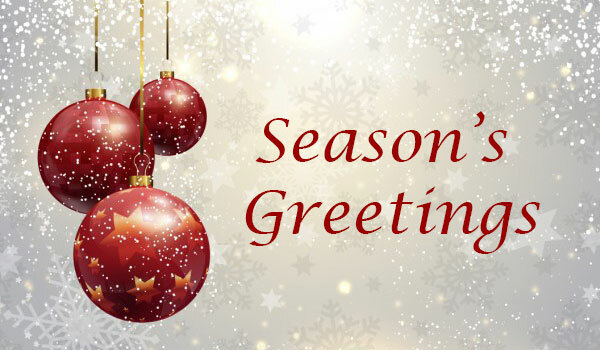 Image Supply Systems wishes you a merry Christmas and a very happy New Year. Thank you for your custom during 2016 and we look forward to working with you in 2017. Our Christmas donation has been made to St. Francis Hospice this year. Since 1989 the staff and volunteers of St.Francis Hospice have provided palliative care to the people of north Dublin city and county.Partial funding for the running costs of the service comes from various sources, including the Health Service Executive, Irish Hospice Foundation and local support groups. However, St. Francis Hospice, to a large extent depends on charitable contributions and benefits greatly from the generous support of the community. There is no charge to patients or families for the care they provide.